Okay, so you have your submissions out for review and your blog posts on track. The next thing to tackle in preparing for Engagement Season is… your website! Your website is one of THE most important aspects of your business. Because even if couples tell you that they found you via social media or word of mouth or through a directory, the chances are VERY high that they have looked at your website! 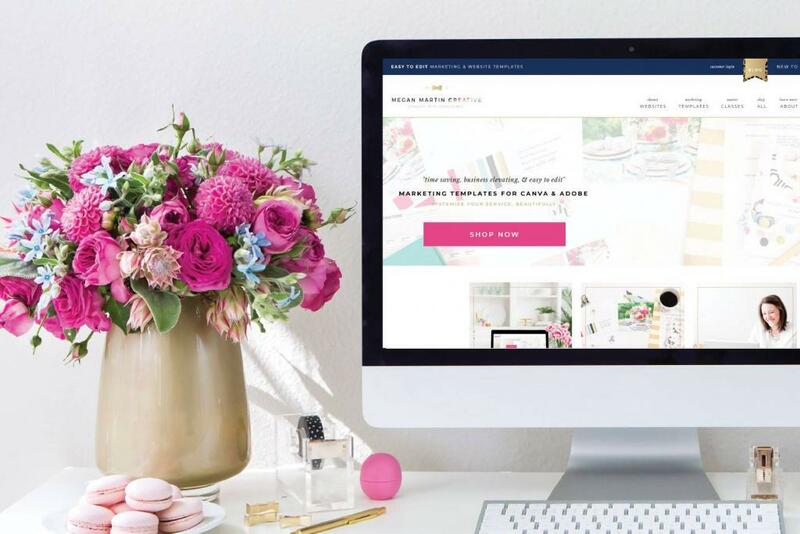 To start us off, I’ve asked my dear friend and website expert, Megan of Megan Martin Creative, to give us a few tips on preparing your website for Engagement Season. Take it away Megan! Make sure your homepage explains what you do and who you serve right above the fold! The more specific you get, the better! 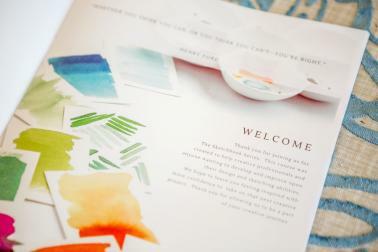 Audit your website aesthetic, imagery, and copy to ensure it clearly conveys how you are unique. If your website looks and sounds just like your competitors down the street, you’ve got a problem! Tweak your services to follow the rule of one. The Rule of one says that you only speak to one customer type at a time so you don’t water down your messaging to try to sell to two different customers. 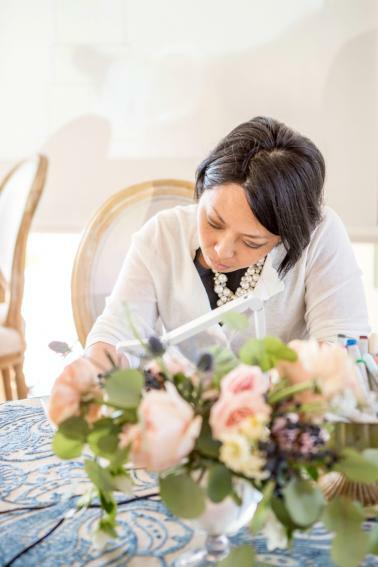 Example: A wedding planner who does both month of event management and full planning serves two very different customers. One is not better than the other, BUT each have very different needs, wants, desires, hopes, fears, motivating factors, and have different values around money. When you follow the rule of one, you immediately start writing better copy that does the selling for you right on your website! Show you are relevant on your website. Freshen up your galleries and web page hero images as well as include new and compelling social proof in your testimonials. If you have a blog, pop up a post (or two!). 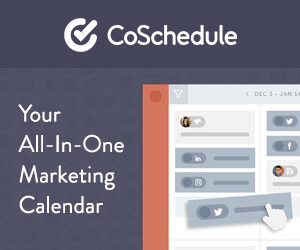 Your potential customers want to know that you are actively booking and with the times! Speaking of social proof: Don’t make the mistake of tucking it all away on a page hidden in the shadows of your website. 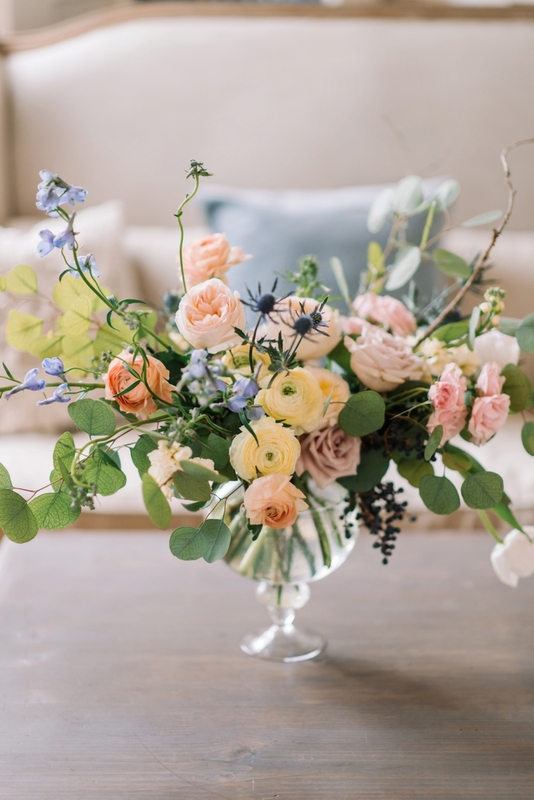 Sprinkle in testimonials and “As seen in” logos throughout your Home, About, and Services pages where your brides and grooms are actually looking! And while we’re on the sales psychology track: Do convey urgency in your copy. Scarcity is a powerful influence in a customer’s decision to inquire and book. Do you take a limited number of clients each month or year? Use that as a selling feature in your copy to express how you take extra care and attention to each of your clients by limiting your services! Learn more from Megan here! My goodness, these tips are SO GOOD! 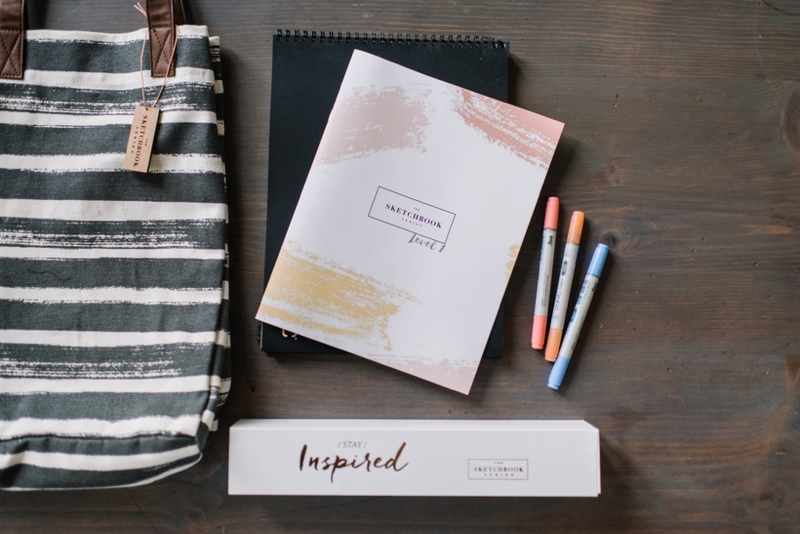 I love that Megan mentioned blogging to convey that you’re active in your business. It’s one of the things that I look for all the time, and I know couples look for it too! 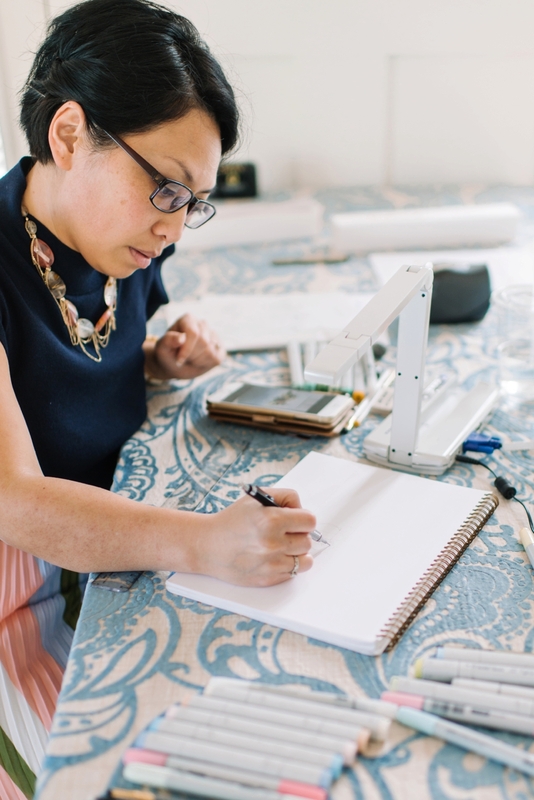 Oh, and I have an extra tip too… make everything EASY for your potential client! Make it easy for them to find information, easy to contact you, easy to reply to your emails… you get my drift! Questions? Feel free to come ask in my Engagement Season Prep FB group! The other day I mentioned taking action on a few things that are going to take a while to reap the benefits from- specifically, submitting your work and blogging. I realized that the information I had to share regarding each of those items was waaaaay more involved, so I’m back today to share more insight into those two activities! Ah blogging. A lot of people like to talk about how “blogging is dead”. 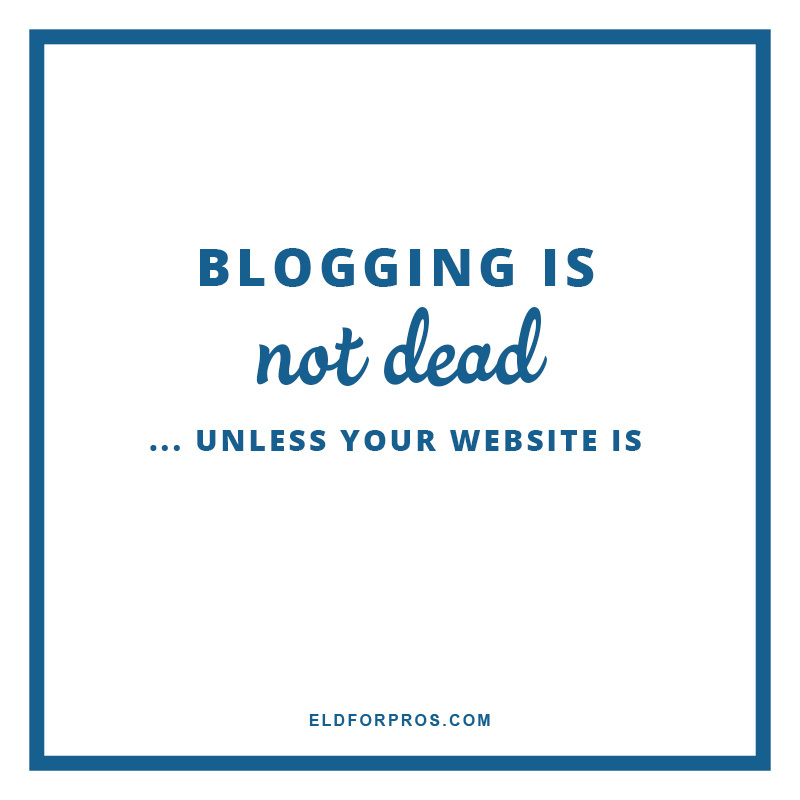 Unless your website is dead (and it better not be), blogging is not dead. Let me first say this: your blog is something that YOU OWN. You do not own Instagram. Putting all of your content and focus on something like Instagram is NOT a good idea, because Instagram can take your account down (or change their algorithm) whenever they please. Your blog on the other hand? YOU have control over that. In terms of whether “blogging is dead”, I can tell you with confidence that it is not. 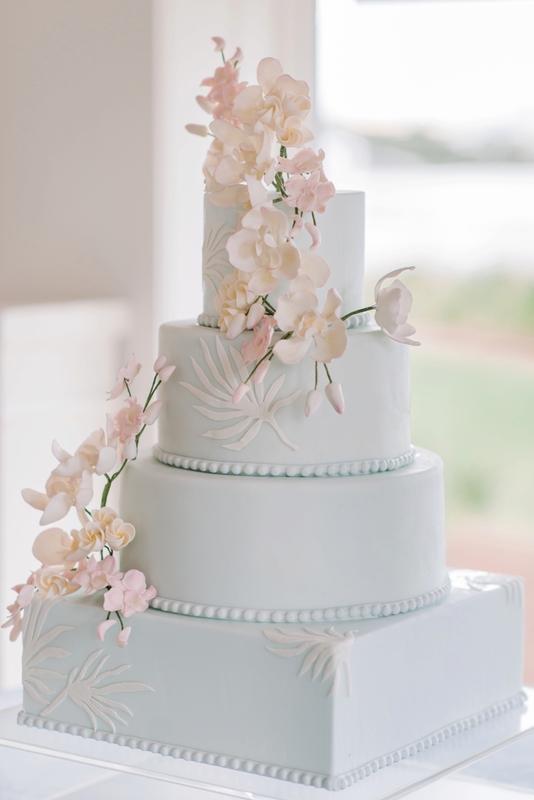 Couples are indeed turning to the blogs of the wedding pros that they are considering hiring. They want to get to know you better and see more of your work- beyond what is in your website portfolios. Which brings me to what you should be blogging. Definitely be sharing your recent work! Let me repeat this again: couples who are considering hiring you ARE looking at your blogs! Therefore, sharing your recent shoots and weddings is crucial- especially if you don’t get around to updating your portfolio as often. 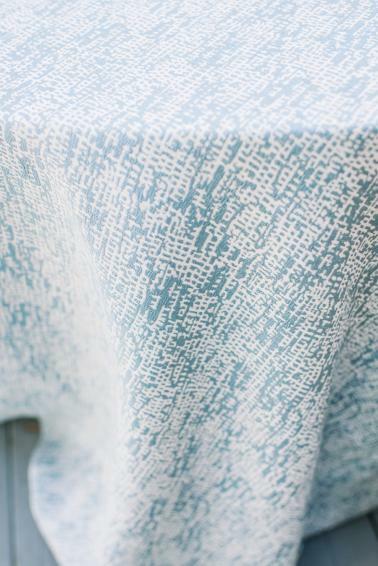 If you do ANYTHING on your blog, make sure it’s sharing recent work! A few other suggestions for what you could blog about: answers to frequently asked questions, information that is going to help potential couples and even current couples, and things that will provide insight into your personality. Oh, and did I mention that blogging is a GREAT tool to help boost your website’s SEO?! Needless to say, it’s always a good idea to put some time into your blog! When it comes to submitting, you can review my recommendations here. 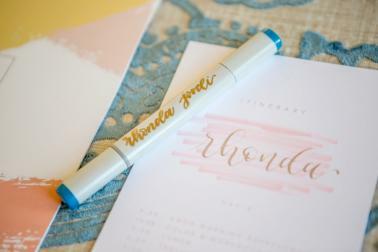 And as far as what to submit right now, don’t pigeonhole yourself to something like just fall or winter weddings. 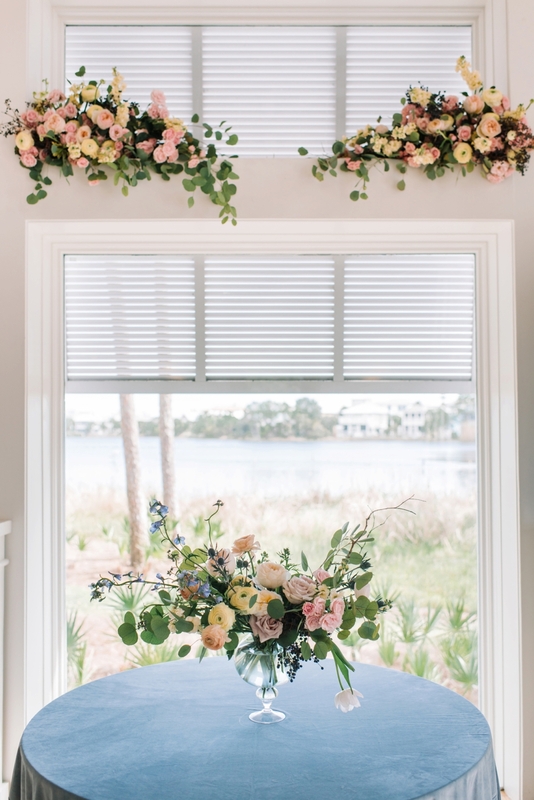 Editors will be looking for things to schedule for publication in the spring, so if you do have weddings from earlier this year that haven’t been submitted yet, don’t be afraid to submit those! Have any questions? Feel free to ask in our Engagement Season Prep FB group! 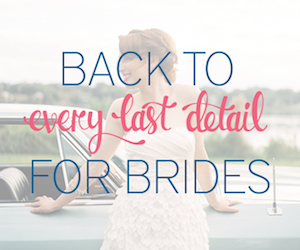 PS: If you don’t have my Engagement Season Prep Checklist yet, make sure you have it!! Alright, so by now, you should have read through my Engagement Season Prep Checklist. I hope you’ve started working on a few of the items, but in case you haven’t, I wanted to give you a little insight into my recommendations for what you should be prioritizing. Let’s set the stage, shall we? You’re busy. 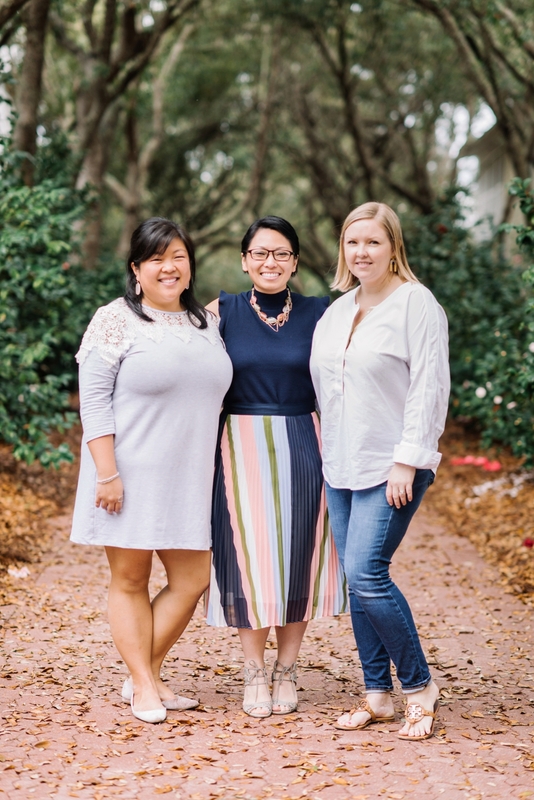 It’s the holidays… and engagement season! But, as I mentioned in my last post, couples aren’t quite starting the wedding planning process yet. So, you have some time. What should you do with that time? The key is to start with the things that are going to take a little longer to see results from. More specifically, submitting your work for publication, and doing your own blog posts. In terms of submitting, it could take a few days, weeks, or even months to hear back from editors. Hence why you need to SUBMIT YOUR WORK RIGHT NOW! I’m going to go into more detail about all this tomorrow, but yeah- submit submit submit!! And then you have your own blog posts. Even though a lot of people like to talk about how “blogging is dead”, this could be further from the truth. Unless your website is dead (and it better not be), blogging is not dead… and yes, couples ARE looking at blogs! Again, I’m going to be sharing more about this tomorrow, so be sure to keep an eye out! The two items above are both going to be the most time consuming, as well as take a little longer to reap benefits from. The easier thing to do, and one that you are likely already doing, is social media. More specifically, making sure that you’re nice and consistent with your social media. With this, I would recommend reviewing your bios on social media and making sure your links are all correct. Review what you’re posting, making any changes if needed, and try to schedule content ahead of time. And finally, your marketing and advertising avenues. Update your profile or listing with any platforms where you are marketing your business. If you are considering adding new platforms to your marketing strategy, now is the time to inquire (or in our case with The V List, apply) and possibly start, since many companies may run specials for the end of the year. Have any questions? 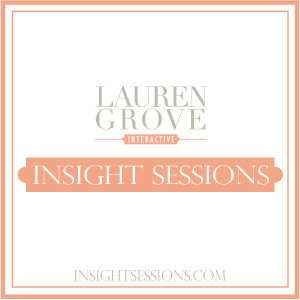 Feel free to ask in our Engagement Season Prep FB group– I’m there to help! 🙂 Stay tuned for more details on submitting and blogging coming up next! I’ve been talking a lot about engagement season lately, huh? I may have mentioned it before, but one of the reasons why I tend to be so celebratory of the holidays and engagement season is because I myself was engaged during the Holidays. As I’m planning content and marketing for all of the newly engaged couples, I tend to look back on my own engagement for guidance. I wanted to share my experience with you all today, because even though it was 10 years ago, it’s very likely that the process is still the same for a newly engaged couple. Yes, there are definitely more resources available to couples now, but the steps are going to be the same. 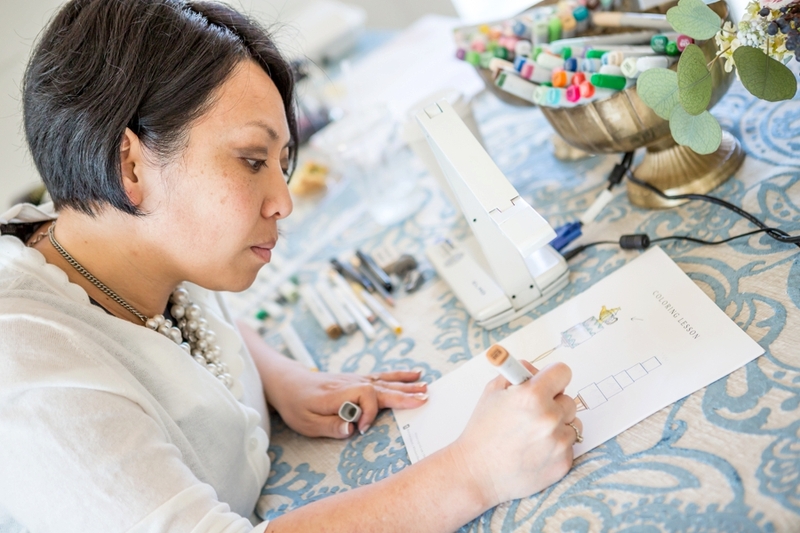 So I want to review this wedding process to help you figure out where you belong within it. We were the typical young couple who had been together for quite some time… and you know, getting sick of people asking when we were going to get married. I knew that my now-husband already had the ring (spoiler alert: I kinda picked it out and he is the worst at surprises), it was just a matter of when it was going to happen! He finally asked on December 23rd, just before we left to go to our hometown for Holiday celebrations. Having the holidays right around our engagement definitely helped us bask in that “newly engaged” glow for a few days. Mostly because we were with family, always having things to do, places to go, and people to see. I do, however, distinctly remember sitting down at my parents’ kitchen table to start talking about wedding planning. 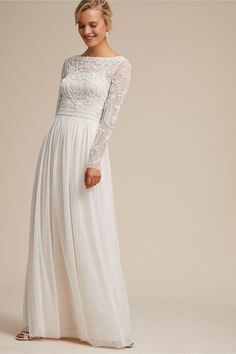 It was a few days after Christmas, and I had opened up a few websites, and was searching for wedding dresses (yes, before any budgets were set or anything was figured out). The very first thing that we decided on was our wedding date. In our case, we had a few dates that we had to work around, so it helped us in choosing a date. If I recall correctly, we had two options, and decided on May 23rd of the following year because our dating anniversary was the 23rd, as was the date he proposed. What can I say- I like to find sentimental value in things! Once we established dates, we started touring venues. Being that we were getting married in our small town, we didn’t have many options available to us. I knew where I did NOT want to get married, so that helped narrow things down even more. I believe we toured 3 venues, and if I recall correctly (come on now, it was 10 years ago), it was all the same weekend. 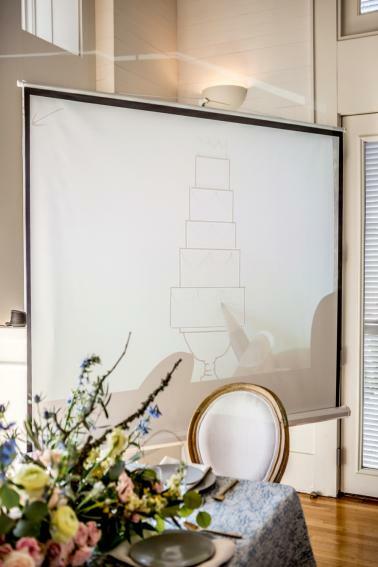 Our incorrect piece of this planning puzzle was that we didn’t really set our budget until after getting estimates from our venue. We had a good idea of number of guests (aka, way too many), and so that at least helped. So once we knew what the venue (food and beverage as well) was going to run, we were then able to set a budget. A little backwards now that I know, but hey, I had NO CLUE- and remember, most couples do not know any better either! Once we had the date and venue, I started looking for photographers and inquiring, and that was a bit further down the road- February/March if I recall correctly. This process was a little more spread out over a few weeks, during which I went and met with a few photographers (I was also traveling from where I lived to my hometown, so it was a little more difficult to set meetings). This was also a time where having more information and knowledge regarding what photographers truly do and the importance of their experience would have helped me a ton in making a (better) decision. It was also around this time that I started to realize just how much time all this wedding stuff took, and I started looking into what wedding planners cost, and if I could have one. Spoiler alert: I got one, but she wasn’t the greatest. Alas, she did help, so at least there’s that. 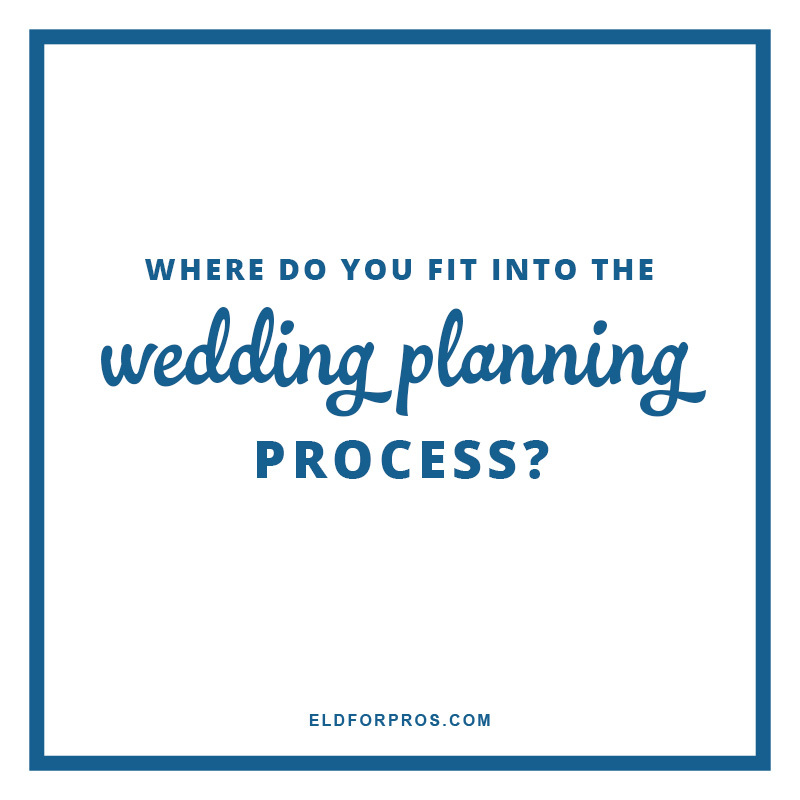 On your end as a wedding professional, I want to encourage you to think about how and where YOU fit into that “planning process”. And not only this, but what should you be doing now to set yourself up to get exposure and get in front of couples as they are doing research and starting in the journey of planning their wedding. We’re talking all about it in our FB group- come join us! 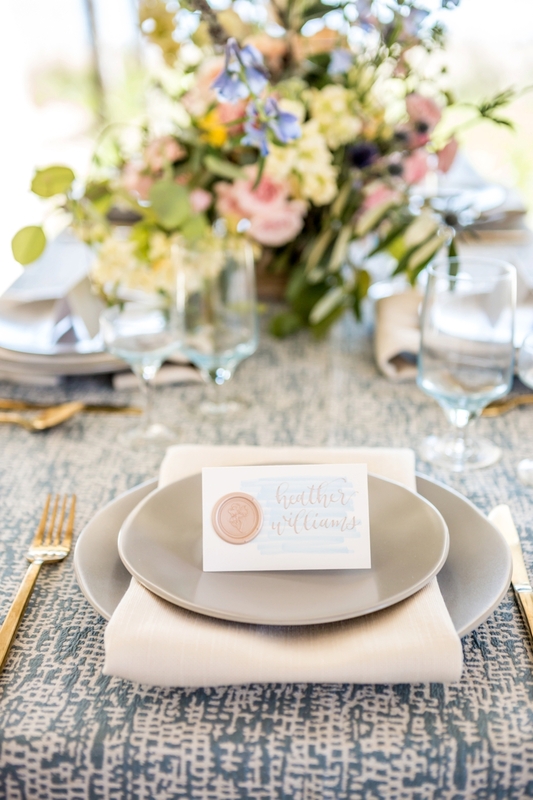 And if you don’t have my Engagement Season Prep Checklist yet, make sure you have it!! 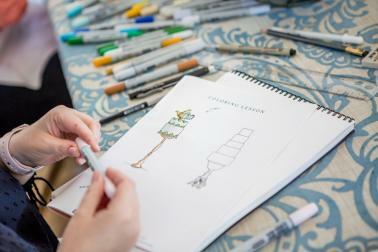 As a wedding planner/designer it is my goal to create custom designs for my couples. I want my design proposals to be tailored to their style with details and design elements that are a reflection of their personalities and relationship. 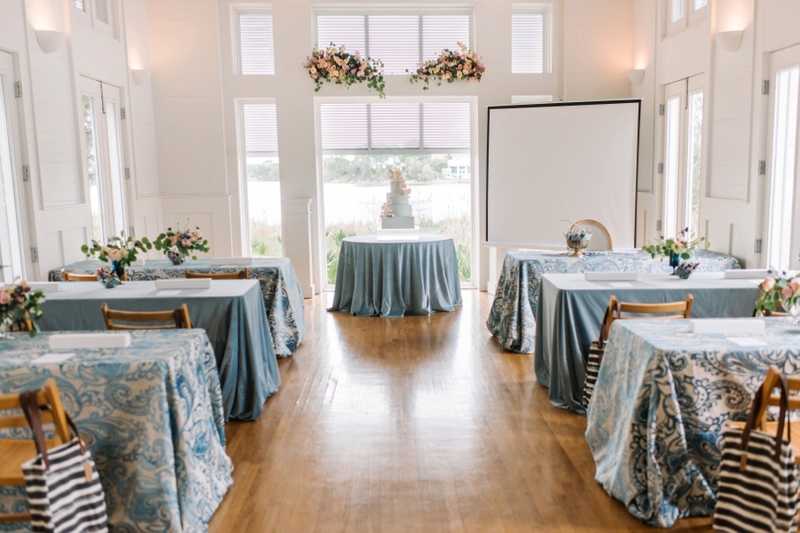 My couples hire me because they have several ideas of what they think they want their wedding to look like but can’t quite pull it all together cohesively and visualize the end result. 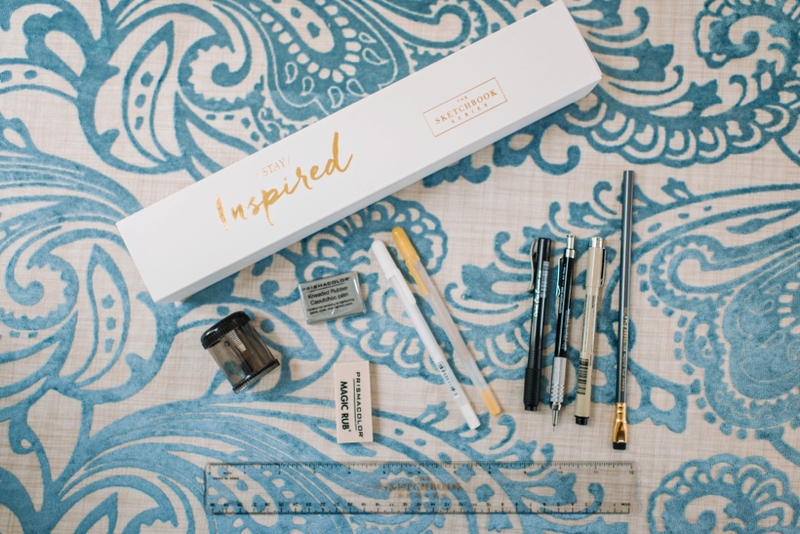 Typically I present my clients with a design proposal full of inspiration pictures of what I would like to create for them. It usually gets my point across and allows my clients to see what their wedding will look like. This creates a lot of trust between my clients and myself because they feel heard and understood. They can almost see that end result and are happy with it. However, I find that sometimes there is a bit of a disconnect. They can’t make sense of the collage of photos I have put together for them because it is not the exact end result. A little imagination is still required and that is not easy for most people to visualize. This is exactly why I attended The Sketchbook Series in February. 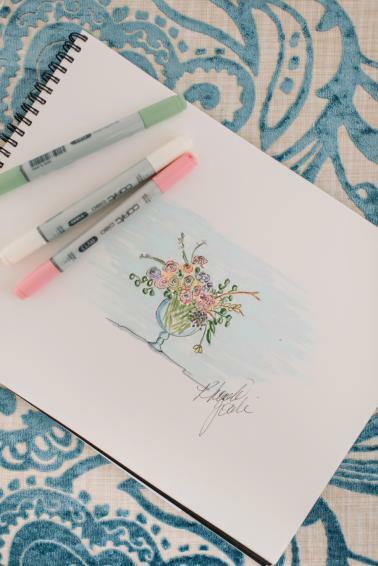 I wanted to learn how to sketch exactly what my design ideas were so my clients could see just what the design ideas would look like. The colors would be accurate, the texture all there and they would not have to use their imagination as it is drawn out just for them. Going into the first day I was nervous and didn’t think I would have what it took to sketch. That being said, I have taken art classes my whole life and studied Art Education in college so this was not my first rodeo although I was definitely rusty. The atmosphere was so beautifully styled and relaxing. All the tools were supplied and Mary’s approach to teaching is very patient and relatable. 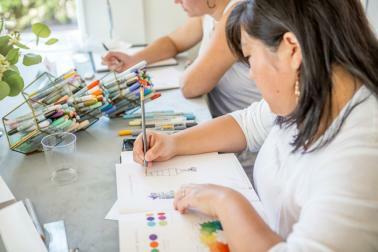 We jumped right into drawing at a beginner level and Mary walks you through everything step by step. 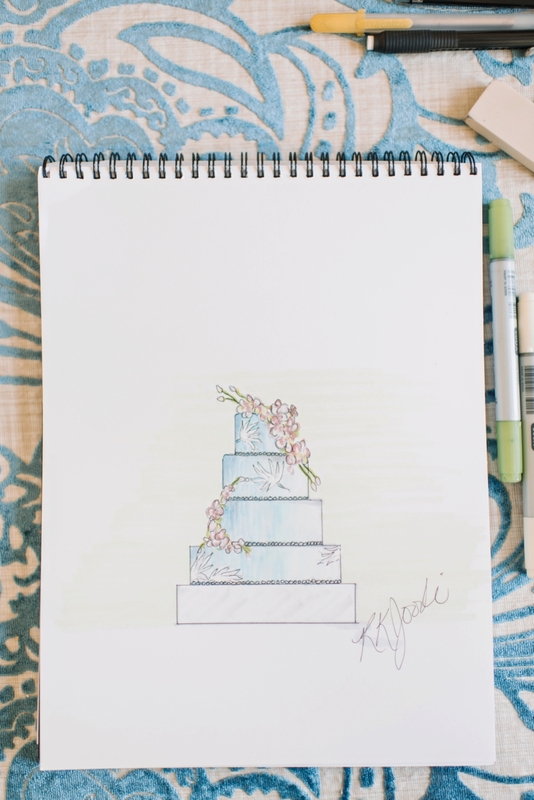 We learned how to sketch a cake table, a floral arrangement and a ceremony backdrop with draping. All things that I incorporate into my design proposals every time, so very useful. 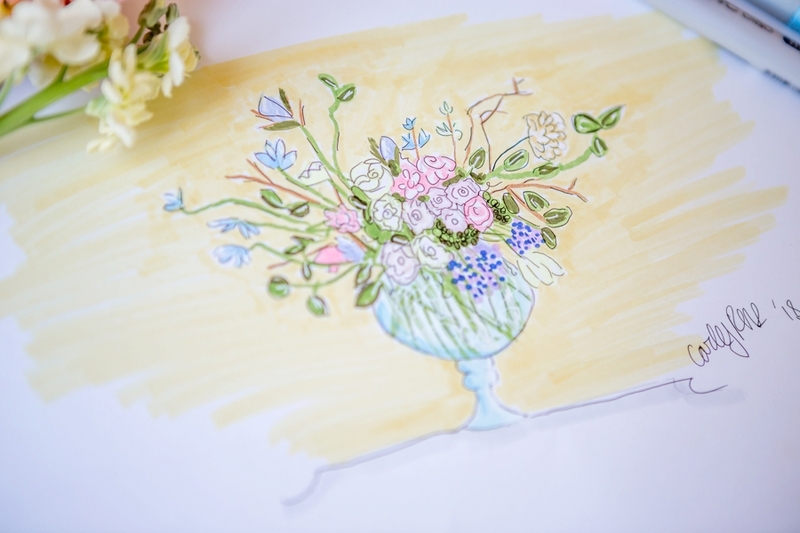 The second day we focused on sketching a tablescape which I think is the most useful. 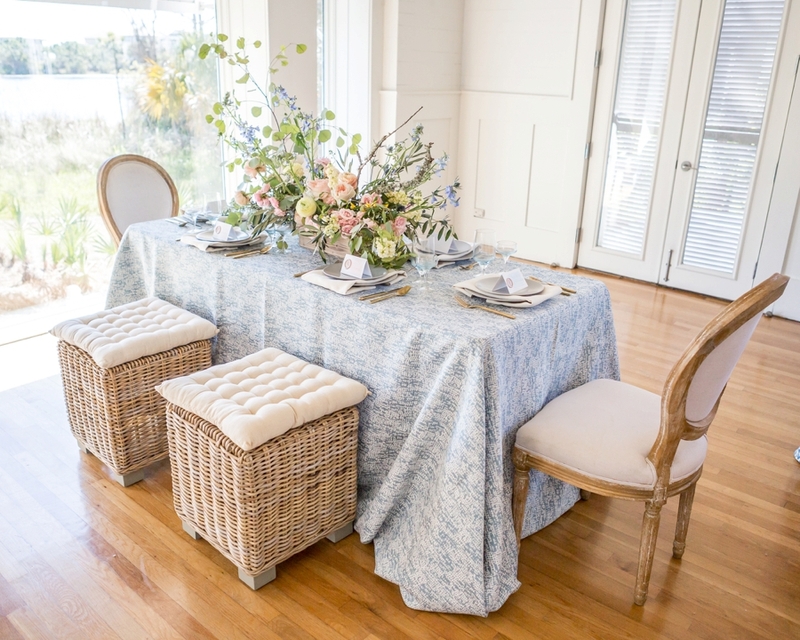 I find that my clients have the hardest time visualizing tablescapes because they are always so unique and inspiration photos are not much help. I would highly recommend attending The Sketchbook Series in person if you can or online. 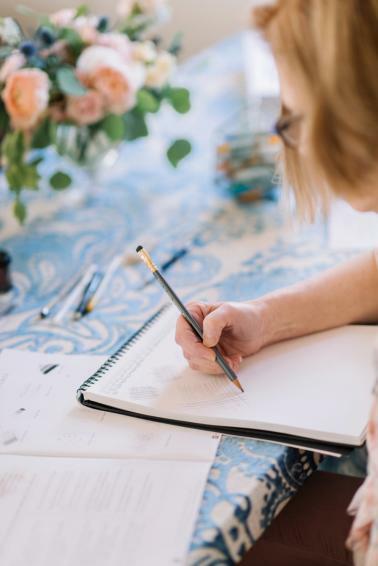 It is such a valuable skill to be able to offer your clients so they can visualize your design ideas and create trust for you as the designer and planner. The past few months, maybe even year, I’ve asked myself this question and have had this underlying feeling of dread towards the changes happening in the wedding industry. I don’t know if you’ve felt it too, but it’s been weighing on my heart nearly every single day. I’m not quite sure how to put it all into words, but I just wanted to get my thoughts down, because I feel that there needs to be a conversation started regarding these changes. I think it’s a combination of several things really. They say that as competition increases, prices go down, and this is for sure happening. 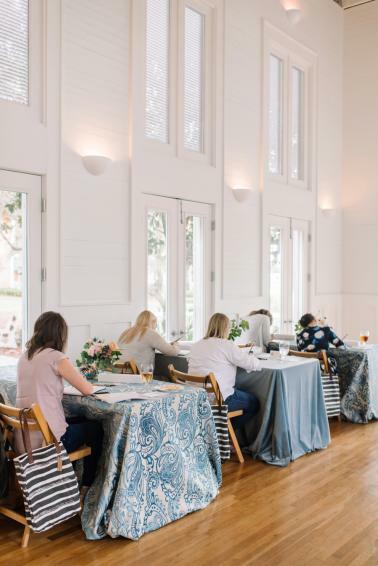 There are more and more people starting wedding businesses, which means that these newcomers are priced lower than those who are more experienced and have been in business for a longer amount of time. And we all remember what it was like to be new- you likely have a job and are doing your new business as a “side hustle”, meaning that you can easily justify your lower prices since you have other means of income. On top of that, it is very easy to market yourself and be found thanks to Instagram, and nice websites are WAY easy to make for less money. Now don’t get me wrong, I totally support entrepreneurship, and I definitely believe that newcomers shouldn’t price themselves too high when they start out. 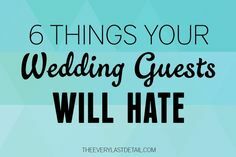 However, I think because there are SO many newcomers, that it’s easy for couples to find a decent wedding vendor for a lesser cost. This unfortunately is leaving the experienced, higher priced vendors with less and less bookings. On the flip side, the newcomers that aren’t yet full time are either going to have to raise their prices eventually to create a full time income, or they’re going to always be doing photography as a “side hustle” because they need a full time income supplied by a “real job”. The issue is this: it’s bringing the wedding industry as a whole down. I hate saying that. But it’s true. 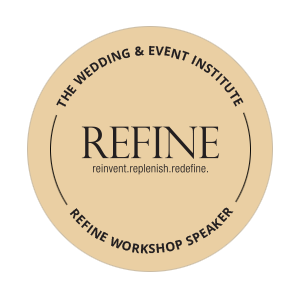 I’ve been hearing about more and more wedding professionals who have been in business for 10+ years having to shut down, simply because couples won’t pay them what they’re worth, and what they need to sustain. And then there’s the issue of today’s couples altogether. I don’t quite know what it is yet- I have a few surveys that I want to conduct to find out cold hard facts. 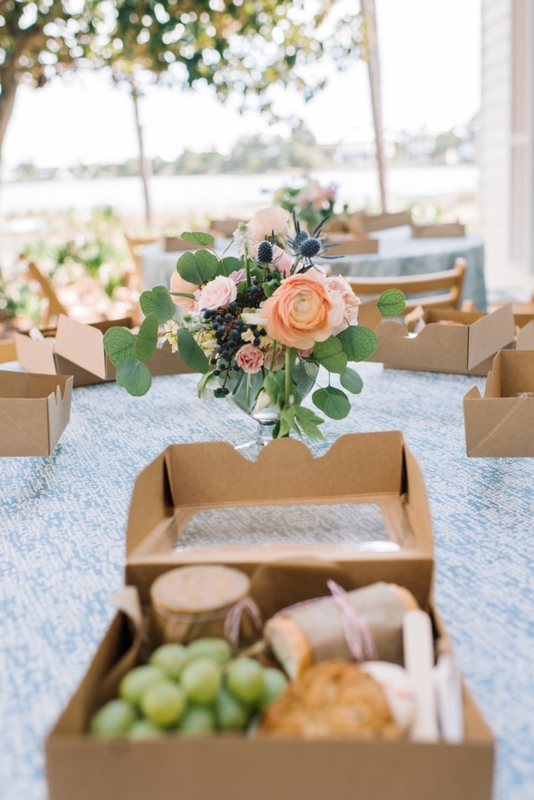 BUT, I am hypothesizing that couples aren’t valuing services are much as they value THINGS, and therefore they don’t want to spend as much on the services associated with their wedding. I have no idea why this is a thing, or even if it’s true- especially since Millennials are supposedly quite in tune with experiences. Is it the immediacy that apps and Amazon Prime and delivery services have created as the norm? 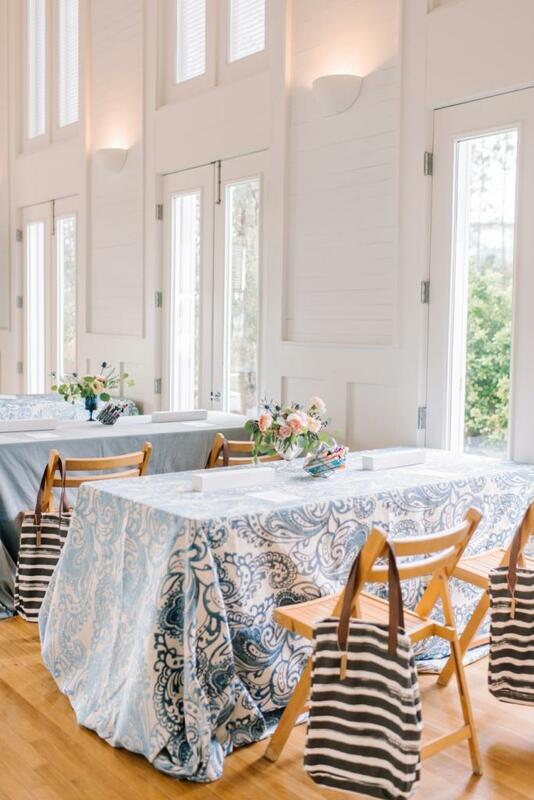 Is it that couples have become “blind” to things at weddings potentially going wrong because of an inexperienced vendor, because those stories are fewer and far between now thanks to couples hiring professionals in past years? But you know what else is baffling? That in 2016, according to The Knot, the average cost of a wedding reached an all time high of $35,329. I’m doing some data analysis of my own regarding wedding pro pricing (fill out the survey HERE if you haven’t already! ), and I’m also currently analyzing The Knot’s numbers for past years to see what kind of changes have been happening. Now, what can we make of those facts? First of all, I’m almost positive the Instagram use of couples is higher for 2017. Secondly, not as many couples are spending as much on their weddings as past years. Couples are also putting a high value on customer service. 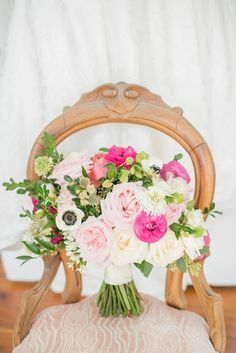 As far as the average cost goes, what I’m seeing thus far is that there has been a significant increase in the amounts spent on wedding venue and engagement ring. 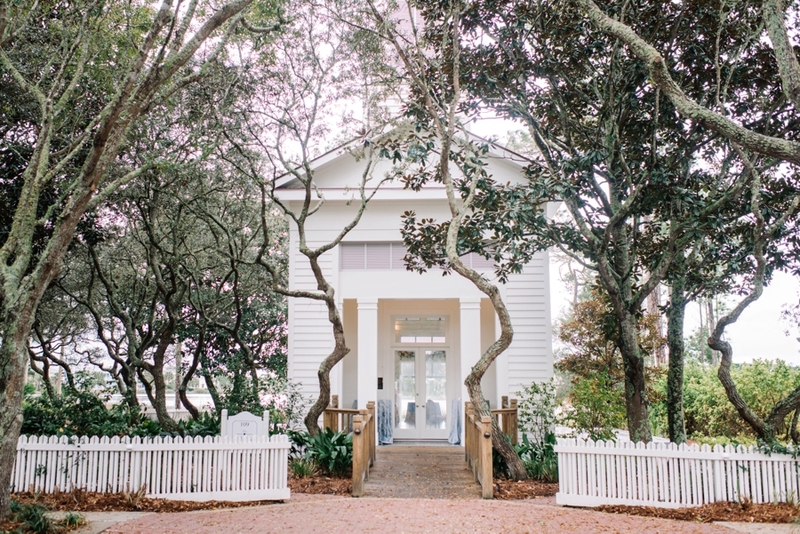 The wedding venue increase could very well be that venues know they are going to get whatever they want to charge because they’re usually the first thing booked- I’ve heard of several situations where a couple blows their entire budget on the wedding venue because they simply don’t know any better. And then for engagement ring… it’s a PRODUCT, which reinforces my notion about products being more valuable to couples than services. But all in all, WHO EVEN KNOWS? So basically… wedding vendors are expected to be active on social media, super fast in their response times, all while charging less. 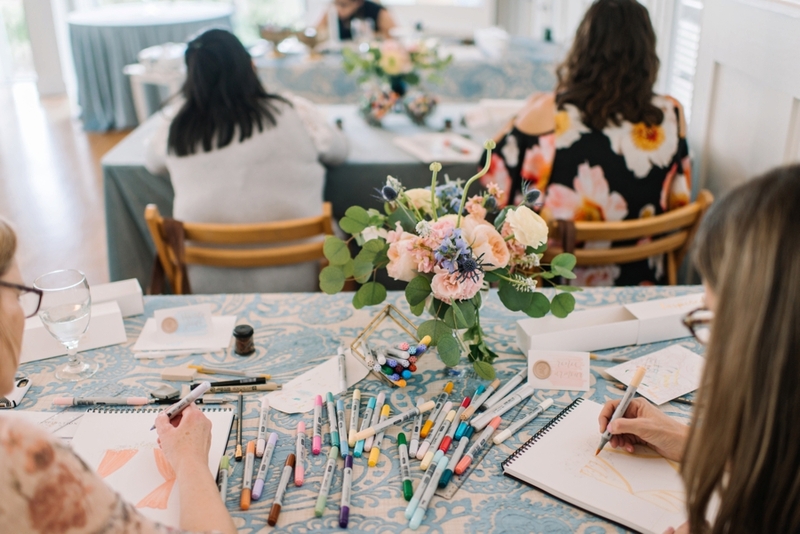 And the thing about these items, knowing many of my friends who have well-established wedding businesses, is that it’s hard to do ALL THE THINGS when you’re busy! So, I can totally understand why less-experienced (and less-busy) vendors ARE able to do “all the things” and get those bookings. Because they have more time, they’re able to be active on social media, they’re able to be responsive to their inquiries, and they’re charging less. Now, I have NO IDEA what the answer to all of this is, and I definitely have more thoughts, as this is literally running through my brain ALL. THE. TIME. When it comes to ELD, I’m trying to do my part to educate couples about wedding costs, what to expect, and the importance of hiring professionals. 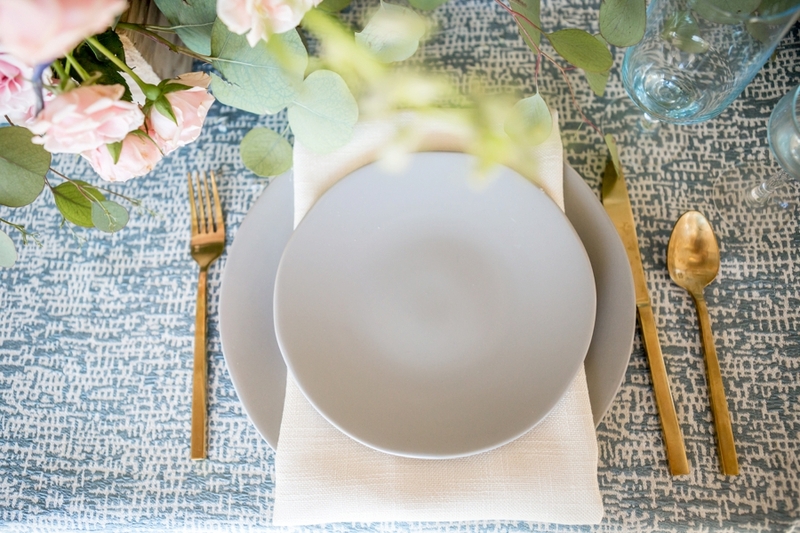 (Sidenote: If you haven’t filled out the 2017 Wedding Pro Pricing Survey yet, you can do so here!) But above all else, I think that a conversation needs to be started in the wedding industry. So let’s chat and start this conversation. 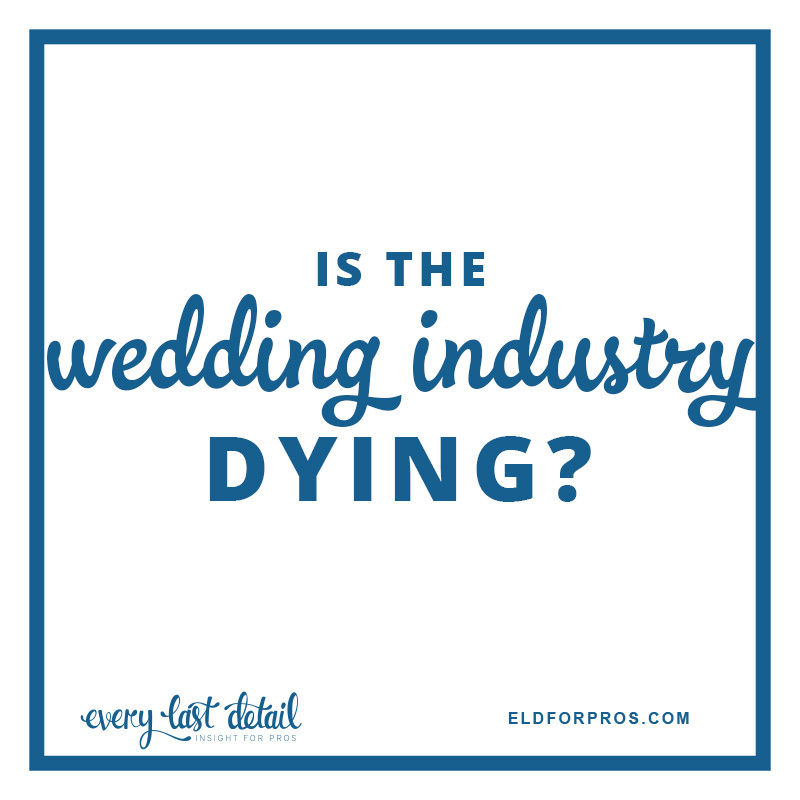 Is the wedding industry dying? What has your experience been? Leave a comment here, or head over to my ELD For Pros Instagram account and comment on this post. Let’s figure out how we can all support one another in this industry! Popping in here to make a little statement regarding weddings getting published. 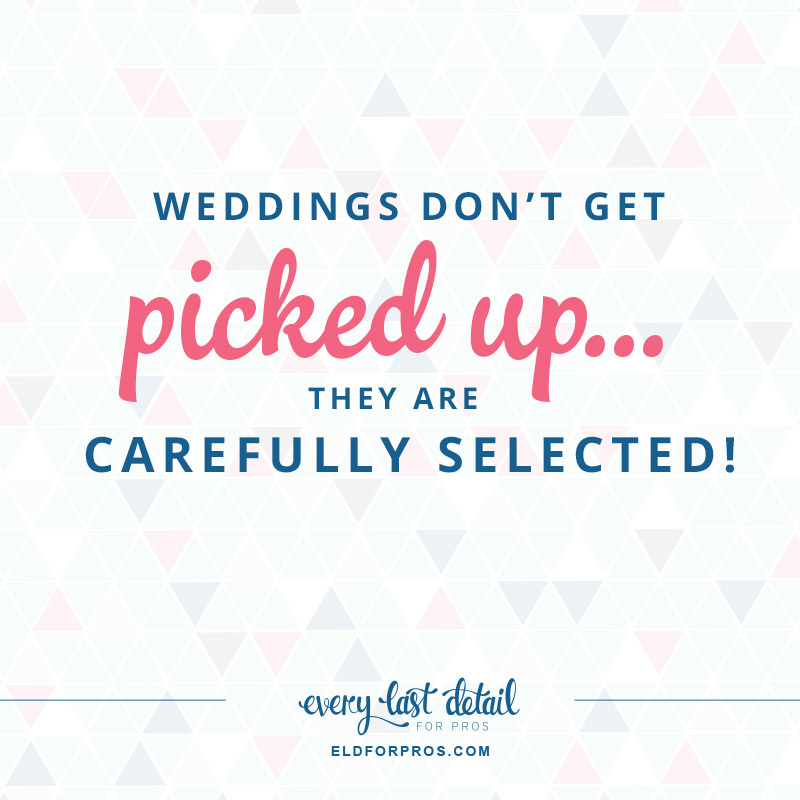 A common term I’ve seen used by wedding pros throughout the years is that a wedding or shoot gets “picked up” by a publication. Friends. I can ASSURE you- editors are NOT putting names into hats and randomly picking a few. And we are most certainly not “picking up” those names off the floor! The majority of publications have specific things that they’re looking for in their features. 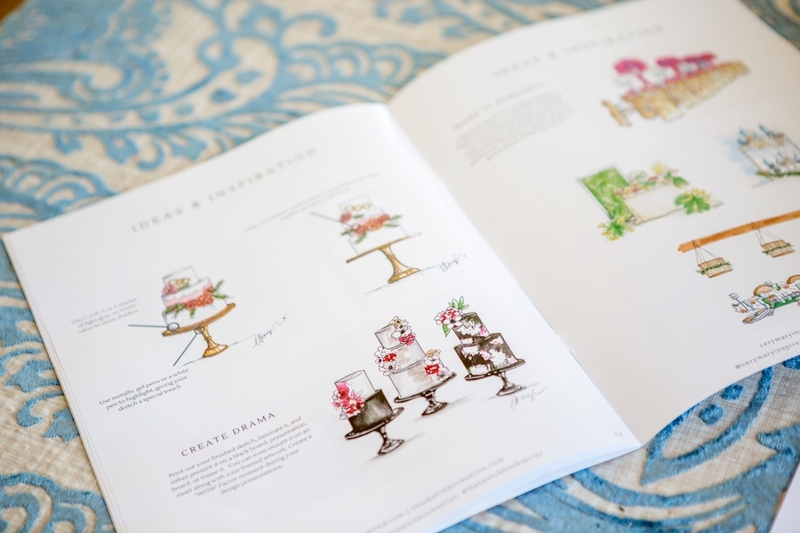 Therefore, these publications HAND SELECT their wedding and inspiration features. Not only that, but there could be various reasons as to why something is being selected. 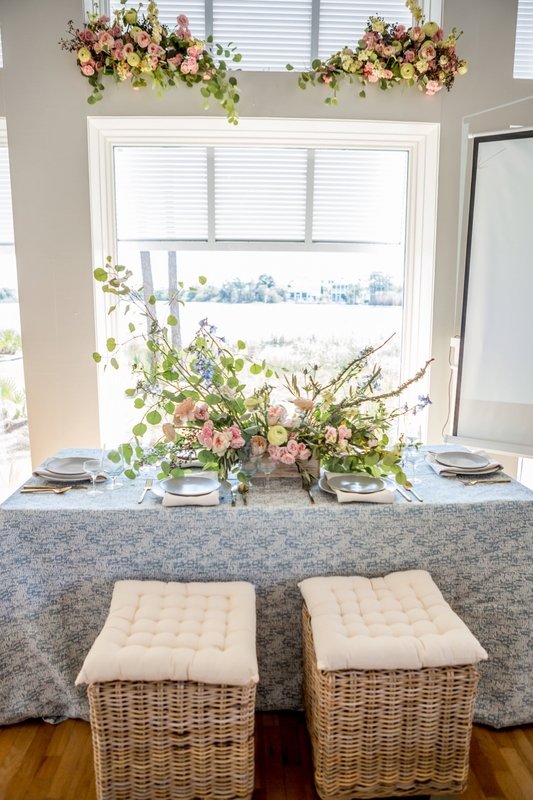 Various elements come into play when choosing a feature- schedule, color palette, style, location, budget, decor, the couple. There isn’t ever any kind of guarantee when it comes to what you’re submitting being selected- even if you’re SURE it’s something that the publication is going to love. 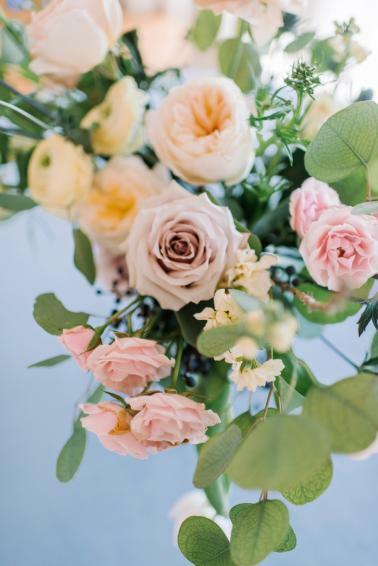 For example- if we feature a blush and gold wedding this week, that doesn’t necessarily mean that we’re going to accept the next blush and gold wedding that is submitted to us. For us, it all depends on what kind of features we have coming up and when those features will be occurring. Now, if you want an even better chance of being selected for publication, establish a relationship with publications that you like being featured with. Even more so- advertise with them. I know, I know… is it “pay to play”? I say no, because I still do reject some of our V List Members from time to time- again, because I’m making my selections based on various considerations. However, for me, it’s more about loyalty. If someone is supporting my publication (and my family and my team’s families), you bet I know who they are. And in that same breath, you bet I’m going to give them priority in having access to the platform that I’ve built that reaches thousands of brides, grooms, and professionals! And if you want to increase your chances of being published even MORE, you want to make sure you’re submitting to a publication that is going to be a match for you based on various factors. For this, I highly recommend Matchology, which matches you to publications based on location, audience, style, and more. Matchology was created by myself and several other publishers to increase the chances of professionals being selected to be featured. Because really, we’re not just “picking up” features, and we hate saying no to submissions! There have been a few conversations happening regarding submissions lately, and so I thought I would share some of my insight and perspective on the topic! It’s true, wedding blogs would not be in existence if it wasn’t for submissions of weddings and shoots from wedding pros. And what’s also true is that it’s pretty fun to look at pretty pictures all the time. Back when I started blogging full time, I envisioned my days being filled with reviewing submissions all day long, surrounded by beauty all the time. The reality is, submissions and the process of blogging them are actually a very small portion of running a blog full time. My whole thought process surrounding this topic basically started because I did a quick little poll on Facebook to ask what people expected a reasonable time frame to hear back about a submission, and the average answer has been 2 weeks. I’ll be the first to tell you that while 2 weeks is my goal, sometimes it takes me 4 weeks, maybe even 6 weeks, to review submissions. Heck, I was even 2 months behind at one point, thanks to morning sickness and traveling. It’s because there are several aspects involved in reviewing submissions, time just being one of them. I personally have tried to stick to one day a week for submissions, dedicating most of the day to reviewing submissions and setting my editorial calendar. That didn’t end up working out, because if I was out of the office on that day, the submissions didn’t get reviewed and I fell behind. Currently, I’m dedicating portions of a few days per week to reviewing submissions, and I’ve gotten myself *somewhat* caught up, and am now able to review on a 7-10 day wait. 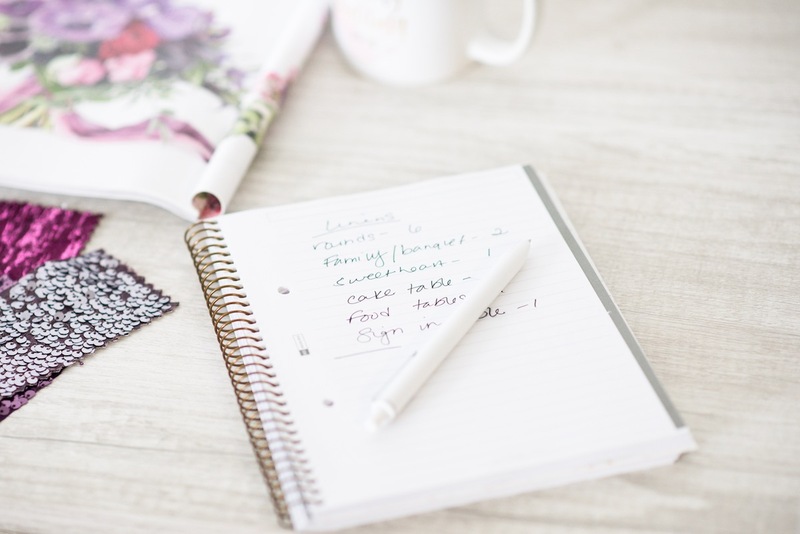 I have always given priority to my V List Members (i.e., those who are supporting Every Last Detail financially), but this year I’m being more vocal and intentional about it. In fact, as I was writing this, I just stopped everything to review submissions from 2 V List Members. I give this priority because it’s my job to make sure that those who are paying me are getting exposure, and features are one of the ways that I can ensure this. I not only review members fist, but I also schedule them ahead of others as well, so they are featured sooner rather than later. It’s the least I can do for the people who have chosen to monetarily support Every Last Detail. Now do others do this? I’m not sure- you’ll have to ask them! 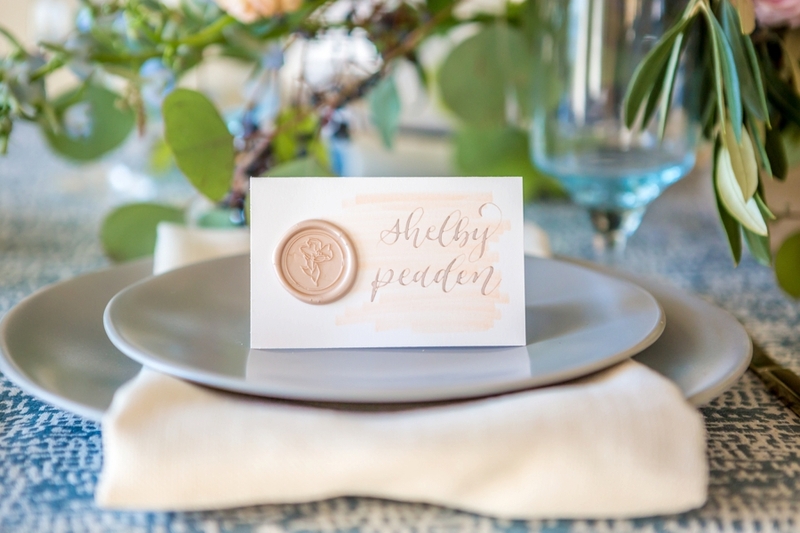 Blush weddings are THE most popular. However, not all of us want to feature blush all day every day. It would bore our readers, and it doesn’t help anyone for one feature to look the same as the next. Which is why we must make sure to include variety in our features. 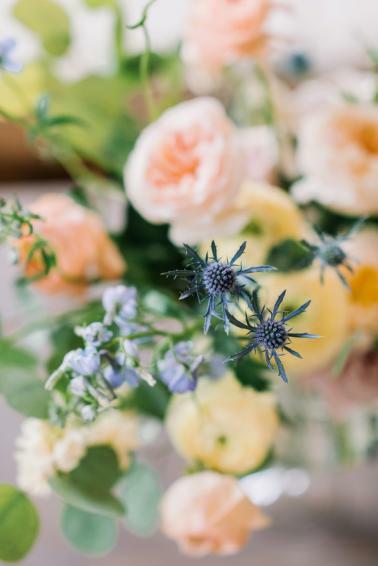 Sometimes that might mean waiting for the right time to feature something, it might mean scheduling it out for a few weeks or months, or it might mean turning down a gorgeous wedding. Every editor’s editorial calendar is different, and the way that they strive to achieve their variety could be different too. Sometimes, we need more information or images, and that puts a kink in our typical process. 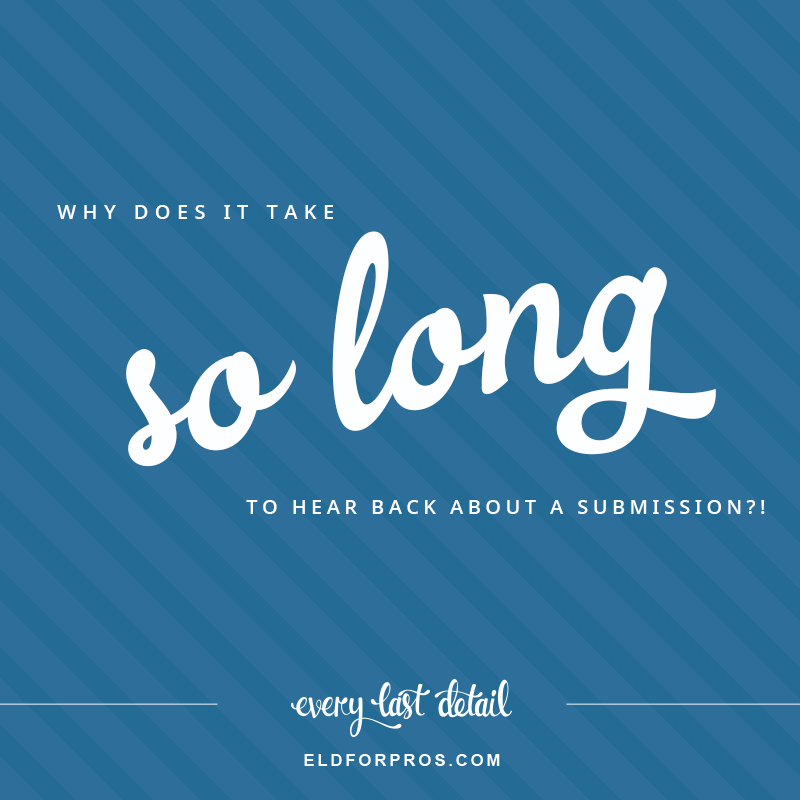 This is why it’s so important to make sure you’re providing as much info as possible with the submission, because waiting for a few images or a bride’s email address can definitely add a few weeks to your wait time. 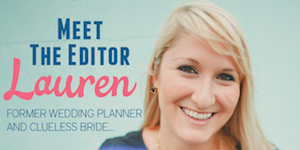 I know all of these things are details and are small in the grand scheme of things, but you must remember that a wedding publication exists to provide inspiration to brides and grooms. If we’re showcasing something that is “meh”, then that’s just going to perpetuated and doesn’t set a good example. 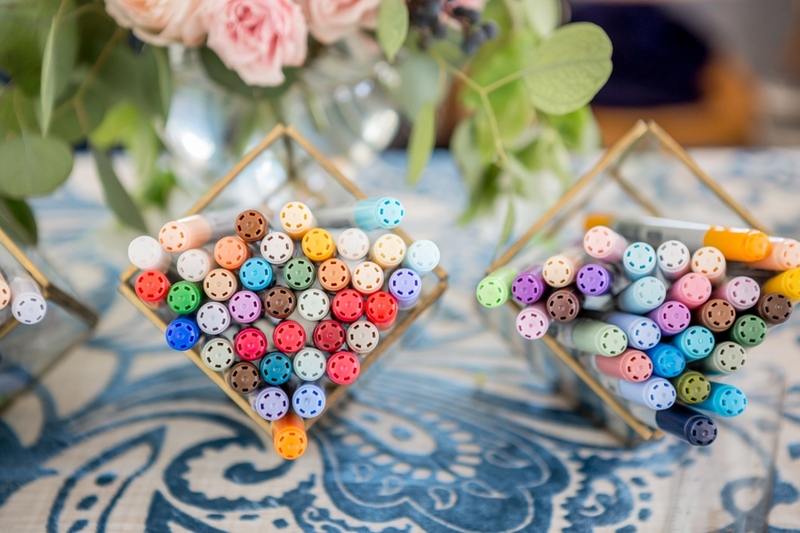 Not only this, but a wedding feature is meant to provide a “snapshot” of the wedding day. We can have all the gorgeous portrait photos in the world, but if we don’t have enough details to create that full snapshot, then we’re not doing our job. 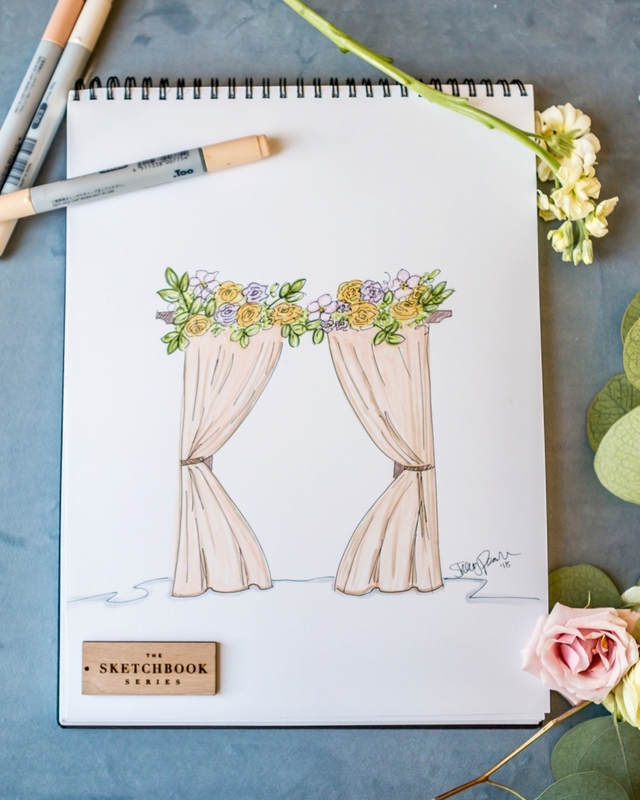 Because again, couples are looking for inspiration, and they want to see how other couples have created their wedding days so they can be inspired by that. Submissions do take a TON of time. Sometimes it’s time that an editor doesn’t have. (Now if it’s a huge publication/corporation with a team to specifically handle submissions, that’s another story. But I’m talking about a small team here.) And to tell you the truth, when having to choose between activities that would result in making money and handling editorial submissions, for me, the making money activities HAVE to win because I have a family and team to support. I’ve been jotting notes down for this post here and there as I’ve been going through submissions in a day. I started at about 10am, and it’s now 3pm and submissions are pretty much all I have done all day (even though I had goals to do much, much more). It takes so long because of all the elements I mentioned above, but also because there’s the downloading of images, gathering of information, deciding when something should be posted, tracking down whether a bride answered her interview questions that you sent her 3 months ago, tracking down the 3 additional centerpiece images you requested from the photographer, making sure there aren’t two blush weddings too close together (basically just not one after another), updating submitters with their scheduled publication dates, making sure one vendor isn’t featured too much in a specific time frame, and likely a few other things that aren’t coming to mind for me right this second. All this to say… after 7 years, I’ve finally developed somewhat of a system to keep this chaos somewhat organized- you don’t even want to see my spreadsheet. And I’m lucky in that I now have an editorial assistant (who you will be hearing from soon) who handles the actual creation of features now (something that I had to let go of in preparation for Baby), so the backend elements and editing are all that I have to deal with now. But I just wanted to provide you all with a glimpse of what submissions are like for an editor, and why it might take a little longer to hear back at times. The moral of the story is this: read guidelines, do your research, and provide all of the information you possibly can about your submission, and you will make an editor’s job way easier… and make it easier for us to say “yes” to featuring you! Marketing (n): the action or business of promoting and selling products or services, including market research and advertising. 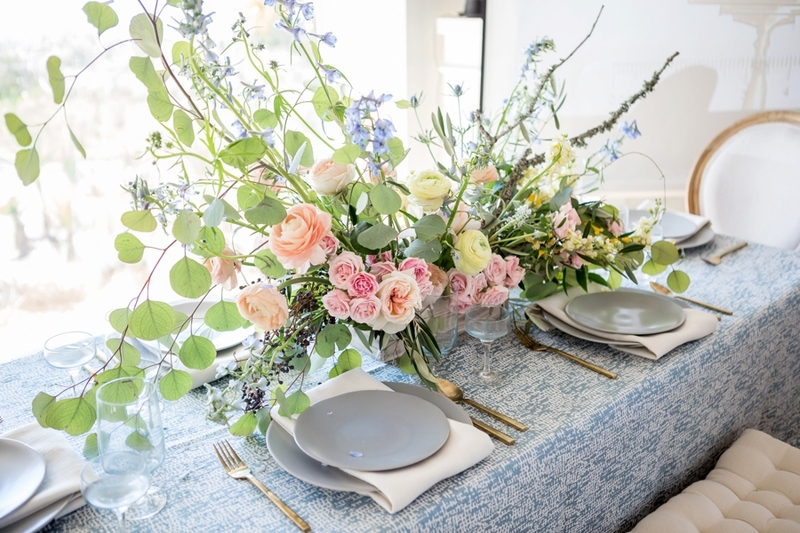 In the world of being a wedding pro, “marketing” would include advertising, social media, personal connections, styled shoots, getting published, and your own blog posts. Marketing should be an ongoing process. It’s not something that you do when business is slow, and it’s not something you stop when business is good. You may have heard of the concept of “marketing touches”. 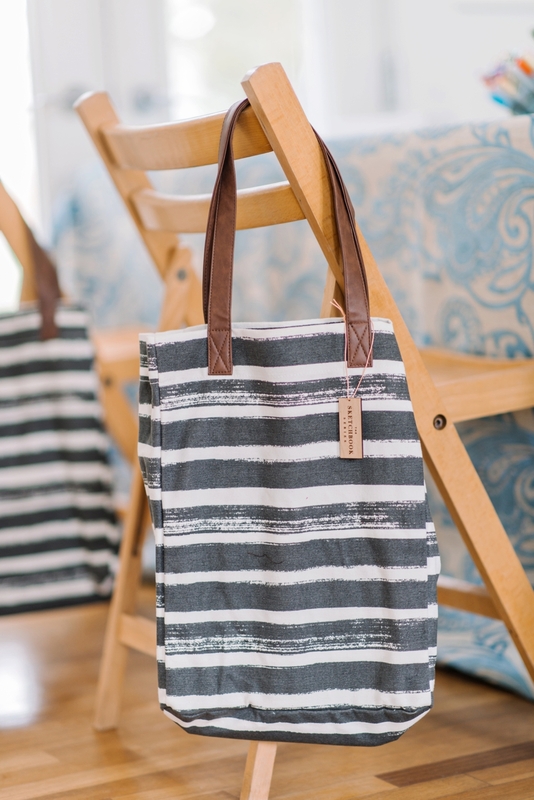 This concept says that it takes several “touches” for a person to make a purchasing decision. These touches include the items that I just mentioned above, and they can take place over days, weeks, months, even years. The truth of the matter is that you never know who could be on the receiving end of a marketing touch. This is why you must never stop marketing your business and sharing about what you can offer people. I’ve fallen into the trap before. I’ve gotten busy, and not shared a peep about what I offer. And you know what? I don’t get inquiries or make any sales. But when I do share every so often and on a regular basis, the inquiries and sales stay consistent. I want to hit myself over the head each and every time I fall into this trap- because believe me, it’s so easy to fall into! And I’ve seen this happen to wedding pros as well- it’s a cycle really. You do some advertising, participate in some styled styled shoots, and stay on top of their social media and submission game. Then you get lots of bookings, get really busy, and stop everything. And then about a year later, after you get through that busy season, you hit a lull, and wonder what happened. And it breaks my heart, because I know exactly what happened, and that it could have been prevented. Because the thing that you aren’t realizing is that all of those things you were doing, they all played an integral part in getting you to that “booked and busy” point, and when you stop them, the results they yielded are also going to stop. 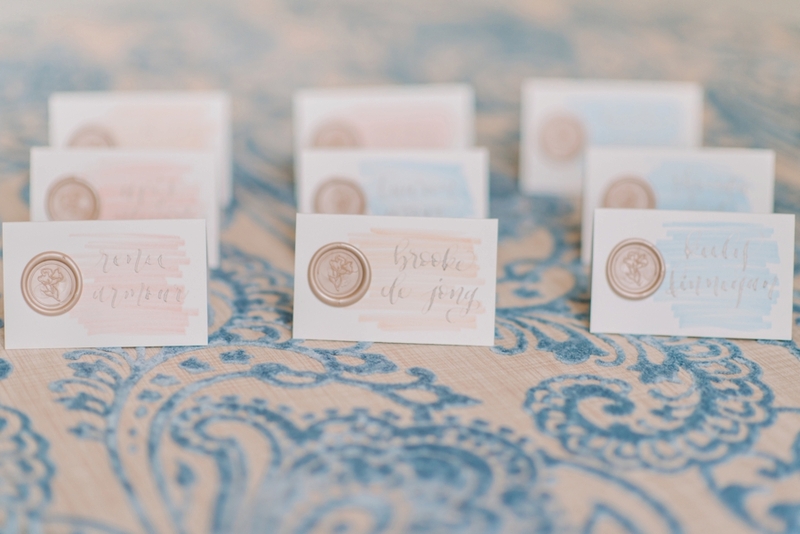 When it comes to weddings, things happen in the long term, and they happen continuously. Couples get engaged all the time. Sure, there is a popular “season” for engagements, but it’s not a hard and fast rule. I’m sure many of you book couples all throughout the year. It’s proof that you never know who is going to be looking for you and when. 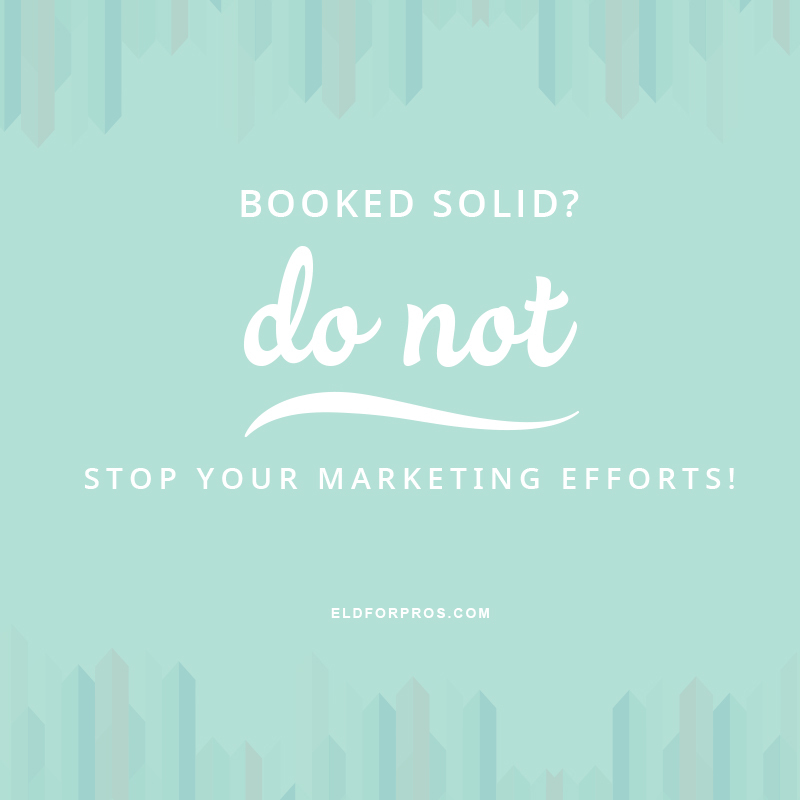 You must stay continuous with your marketing efforts, regardless of how booked you are at a particular moment in time. 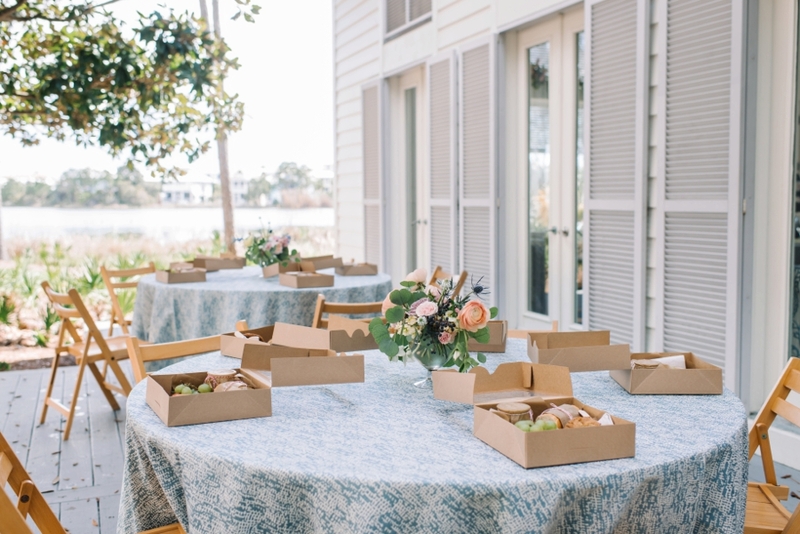 Add submission prep into your workflow for each wedding. 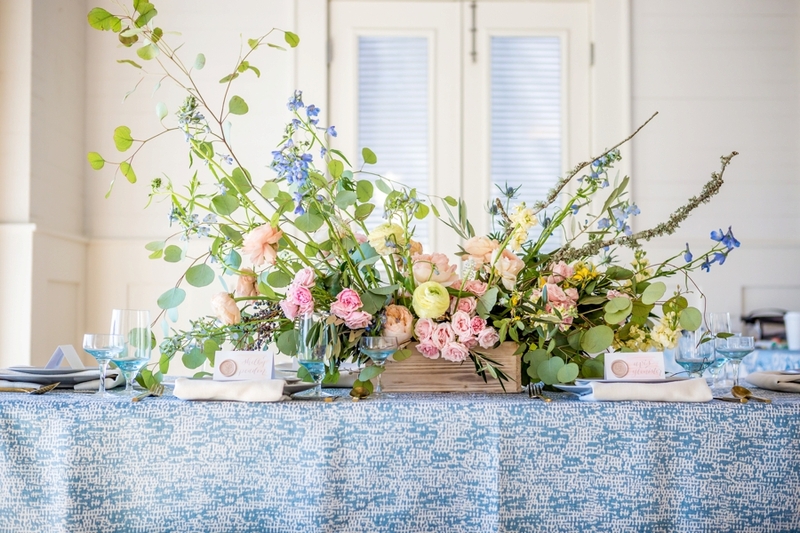 Carve a few times out in your year to do styled shoots and put them on your calendar. Make sure to attend a few networking events throughout the year. So friends, I implore you- please don’t fall into the “booked and busy” trap! Make sure you’re taking the steps to keep your marketing continuous so you can ensure you’re continuously reaching potential couples!